Sign up now for the Gulf Region Master’s Track Meet. 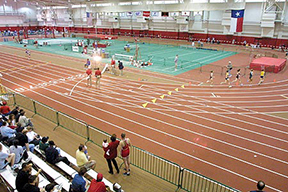 Events will take place at the University of Houston (Yeomans Field House) indoor track facility. The Field events will begin at 10:00 a.m. and the running events will start at 11:00 a.m.